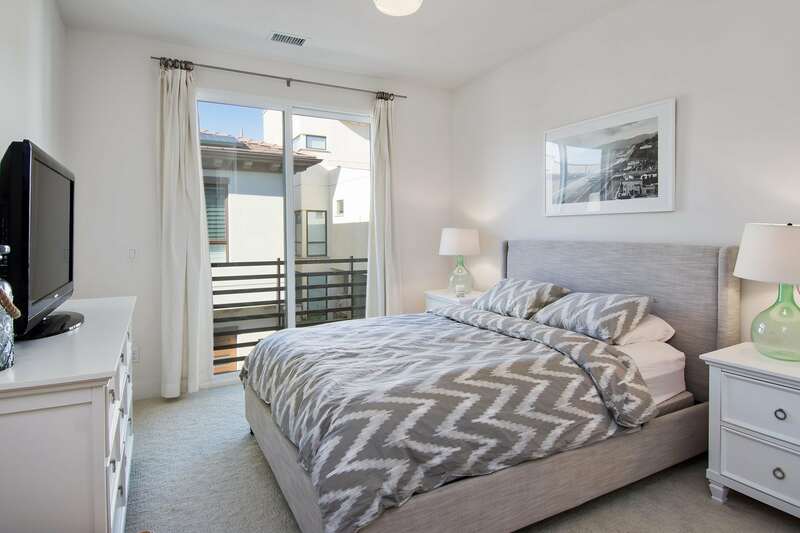 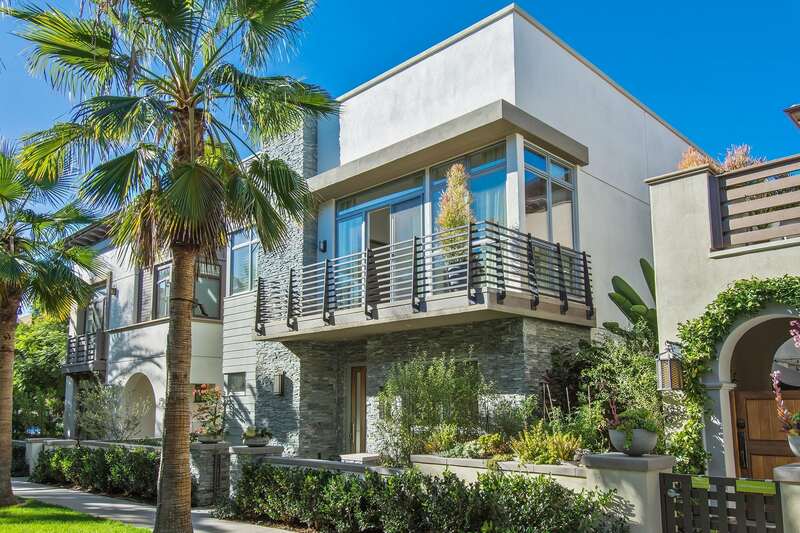 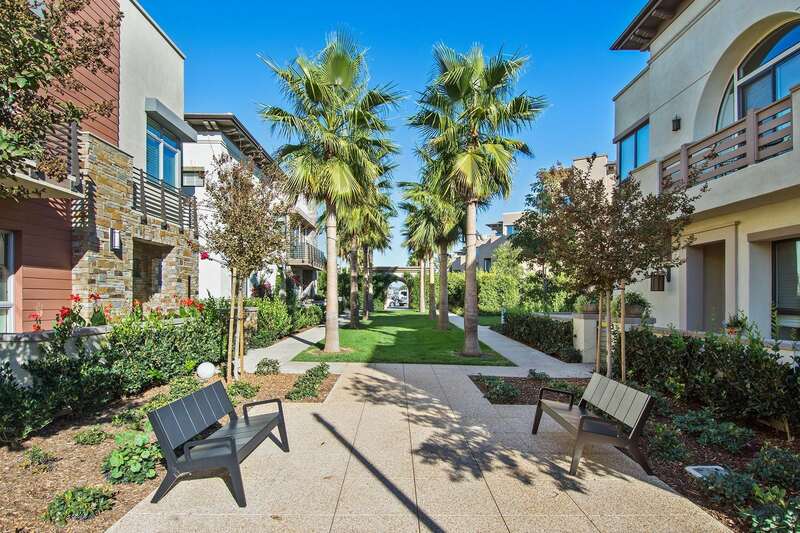 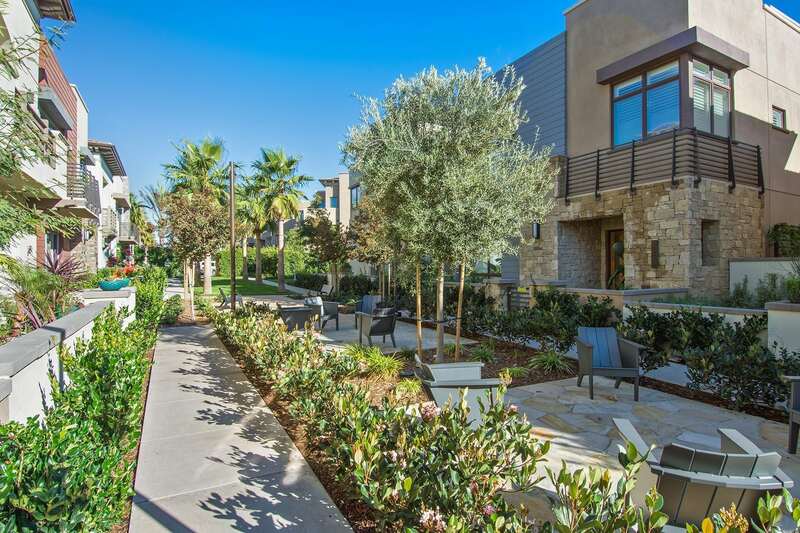 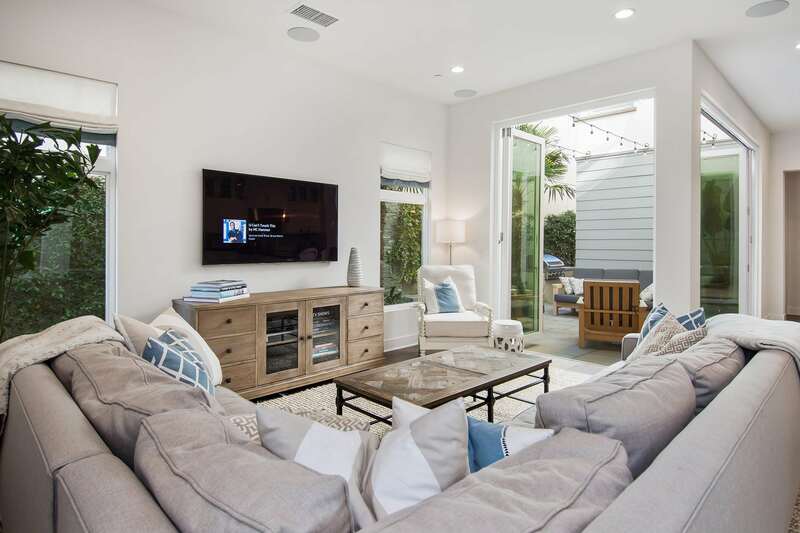 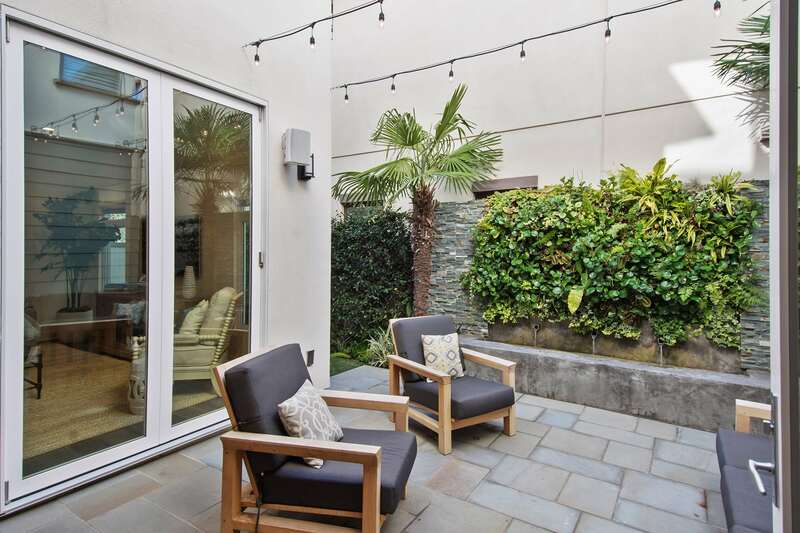 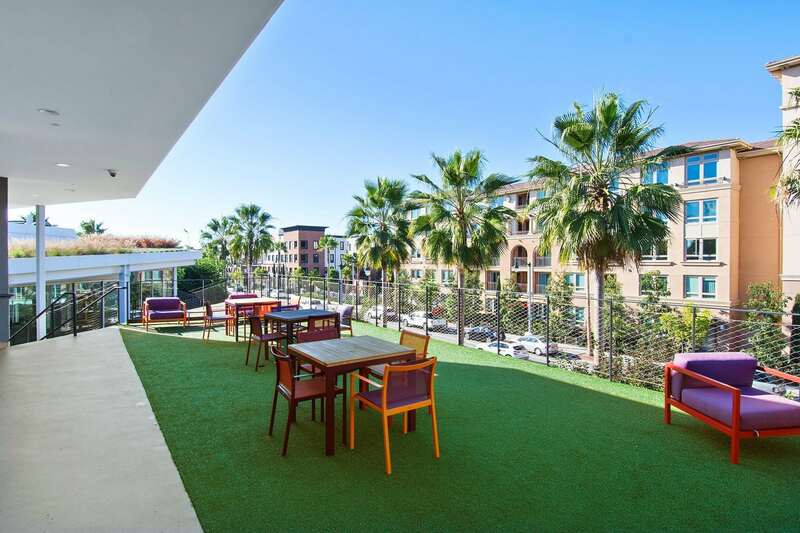 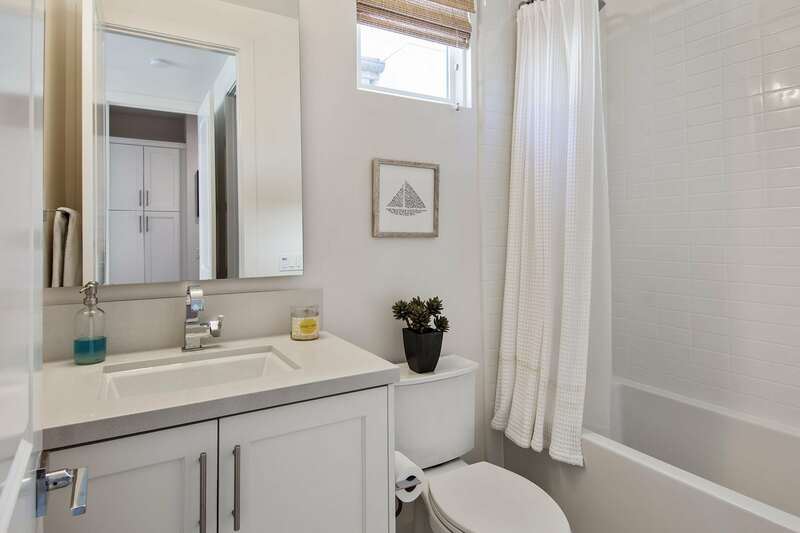 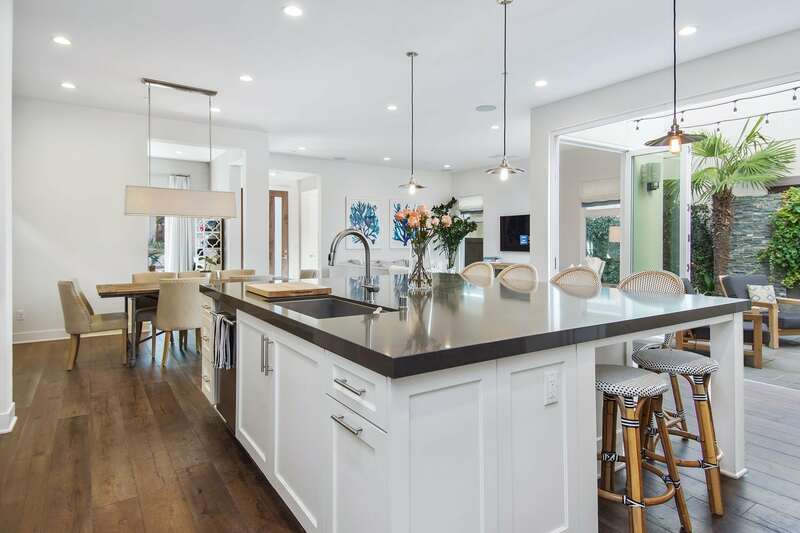 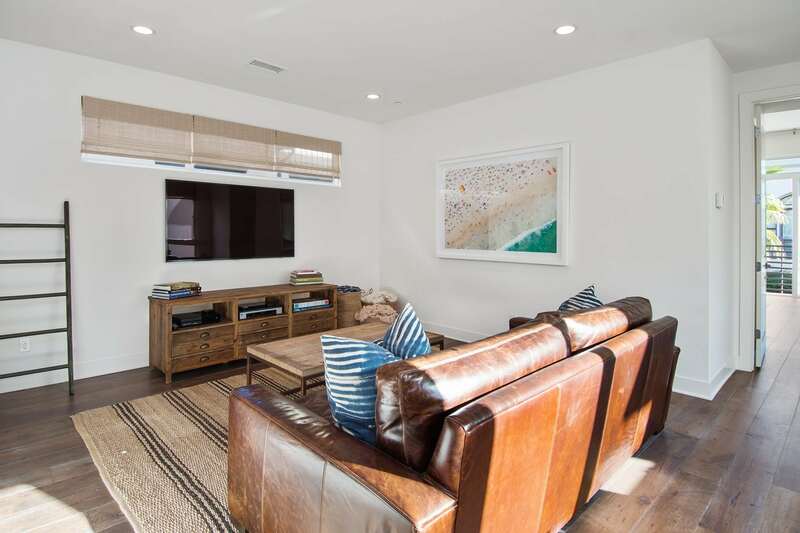 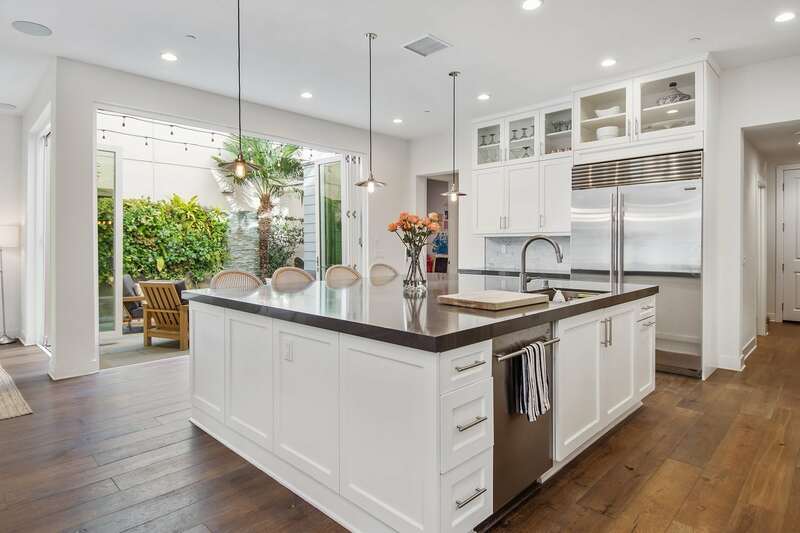 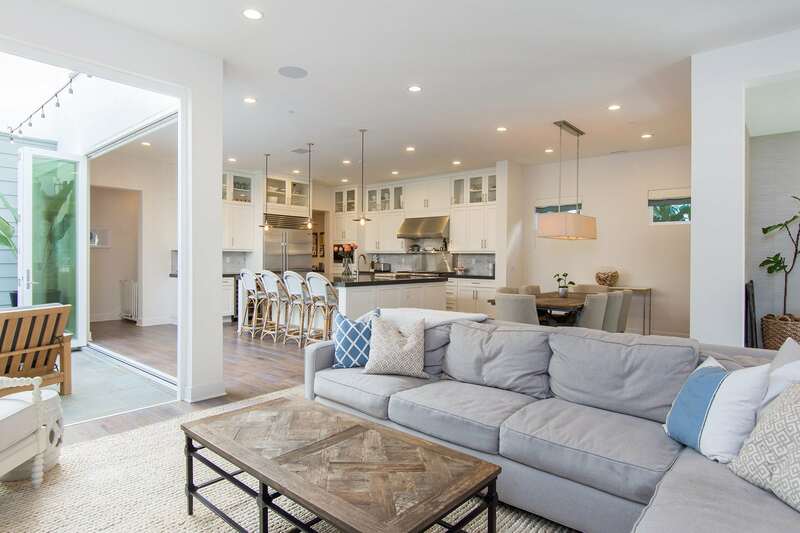 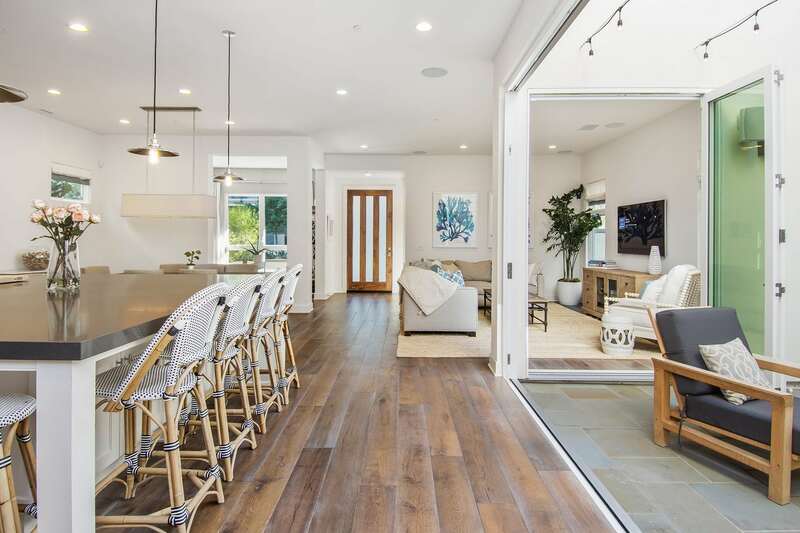 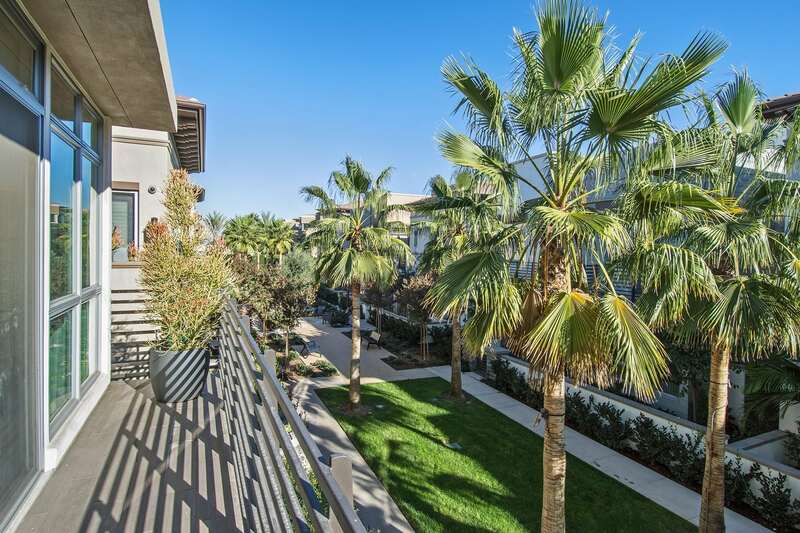 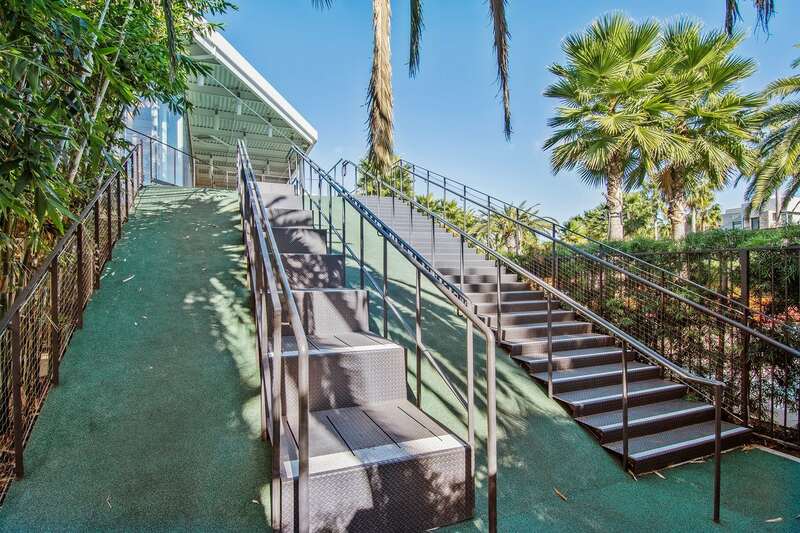 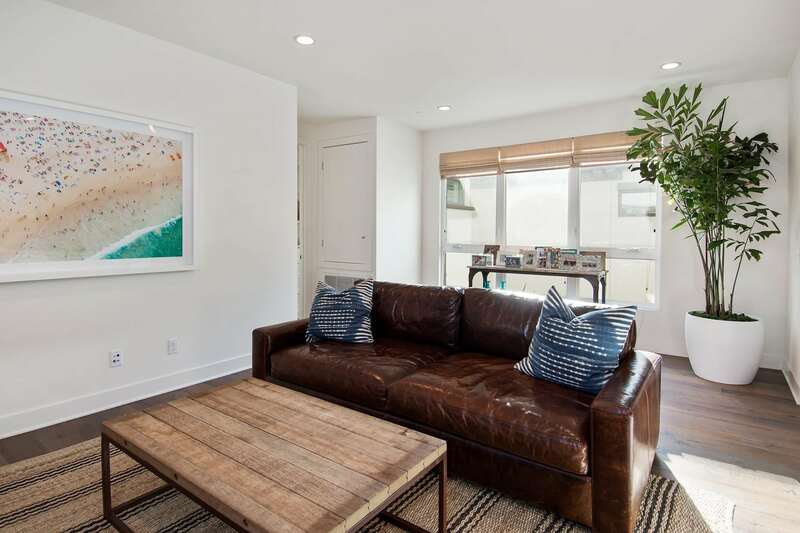 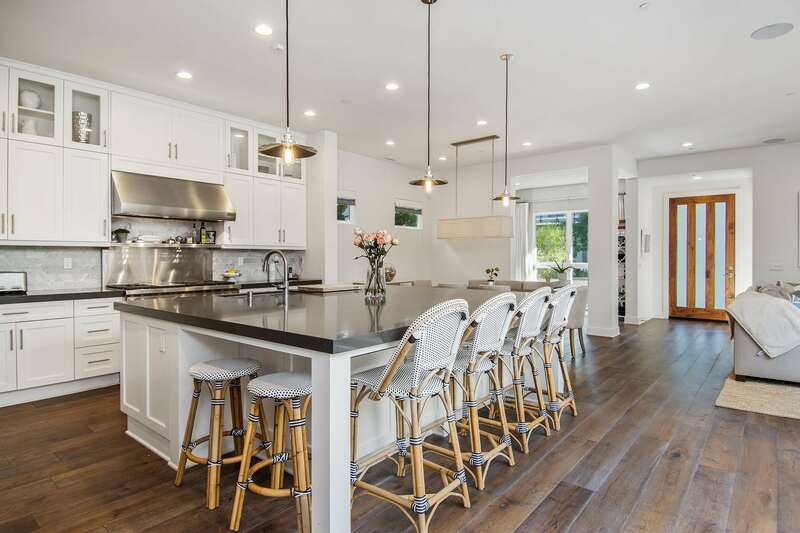 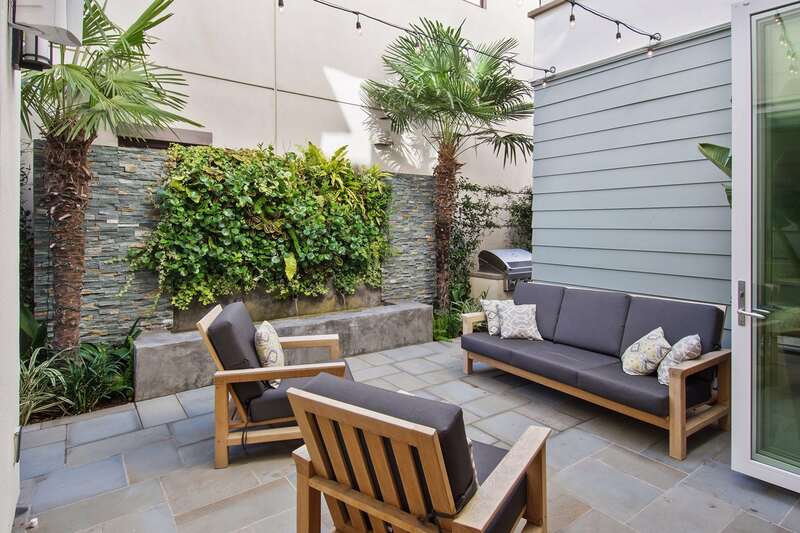 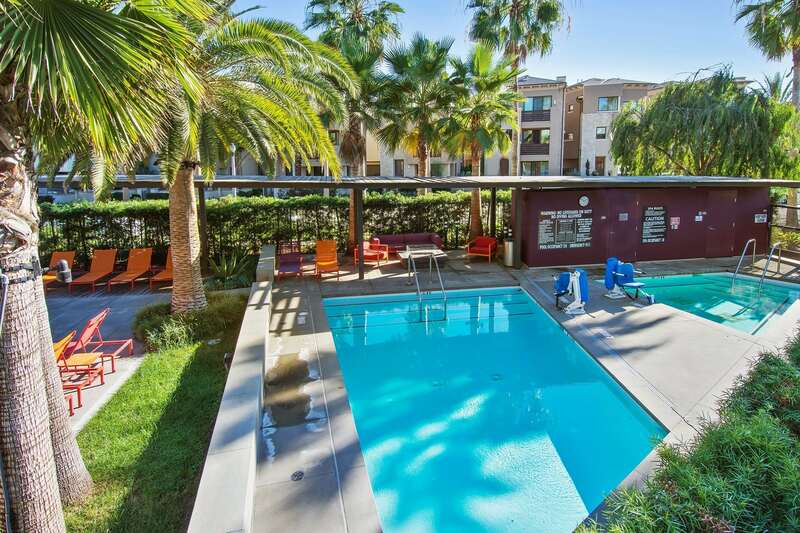 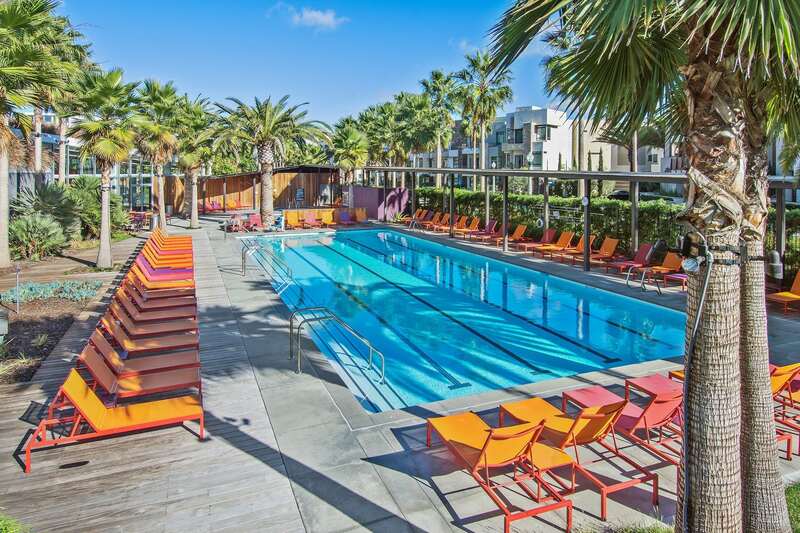 Fall in love with this one-of-a-kind Playa Vista beauty! 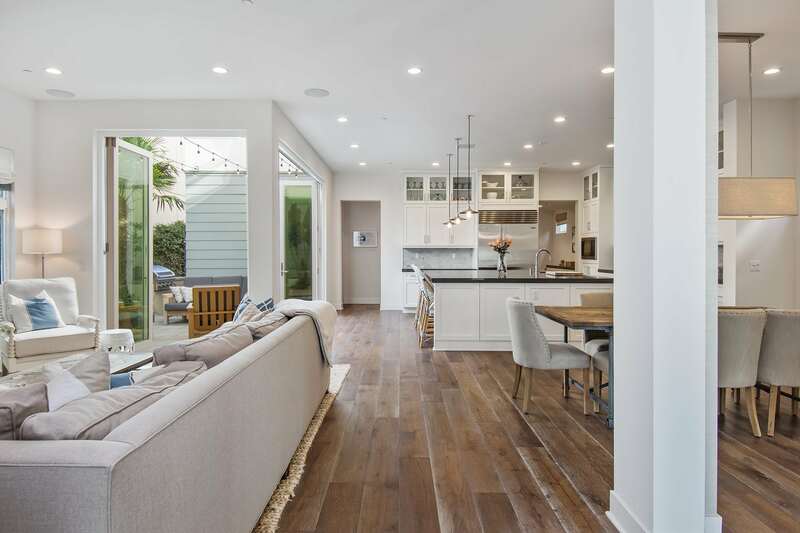 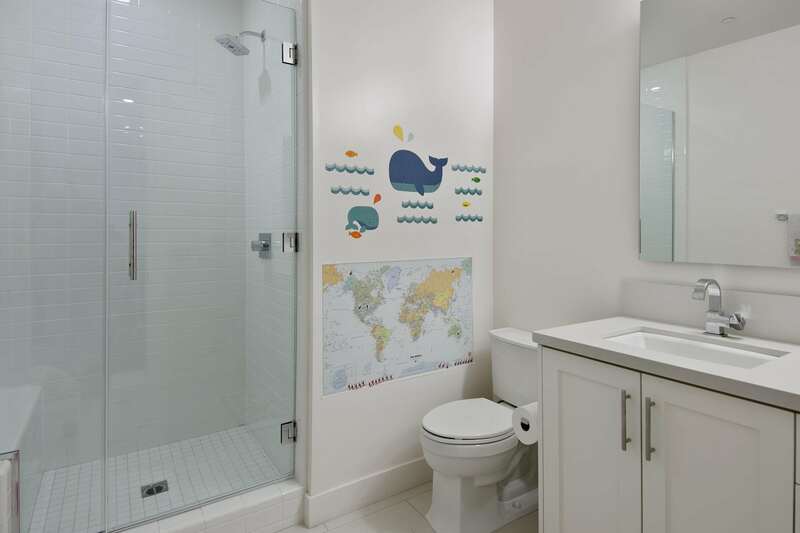 Thoughtful design, quality materials, and an expert attention to details make this home a must-see. 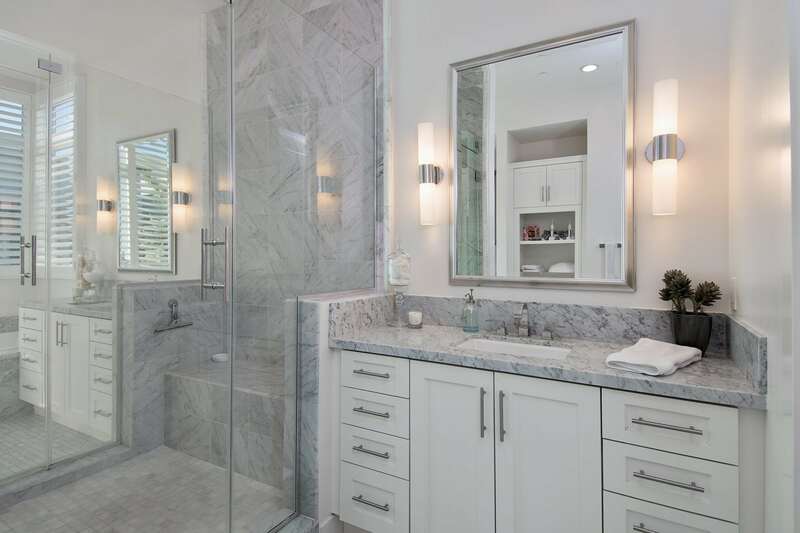 A sleek modern feel is complemented by cool tones and a contemporary aesthetic. 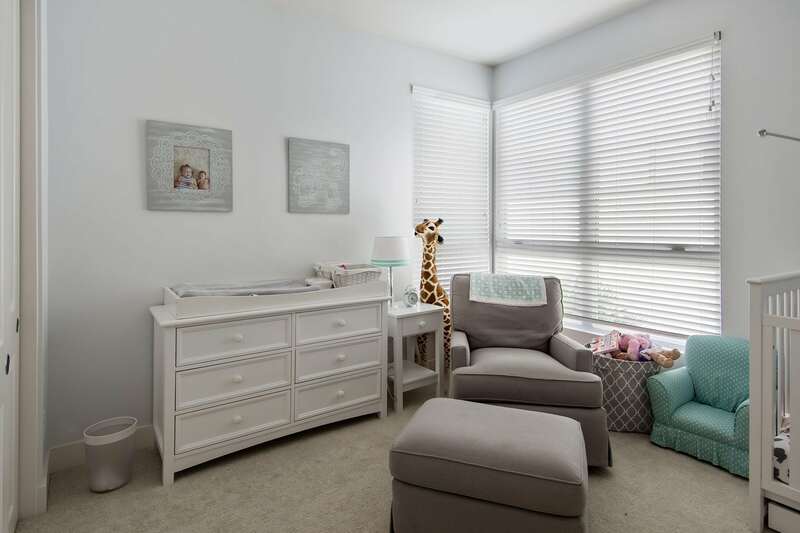 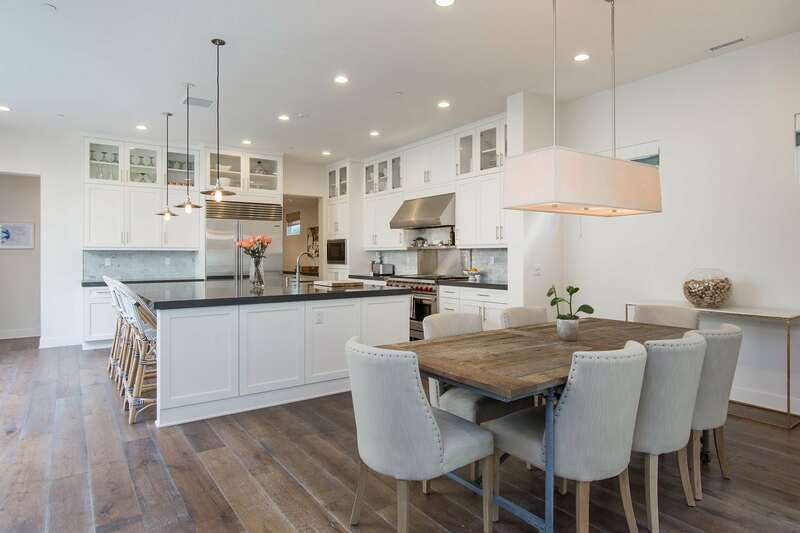 On the main level, a spacious, open floor plan boasts stunning wide plank wood floors, high ceilings and updated finishes. 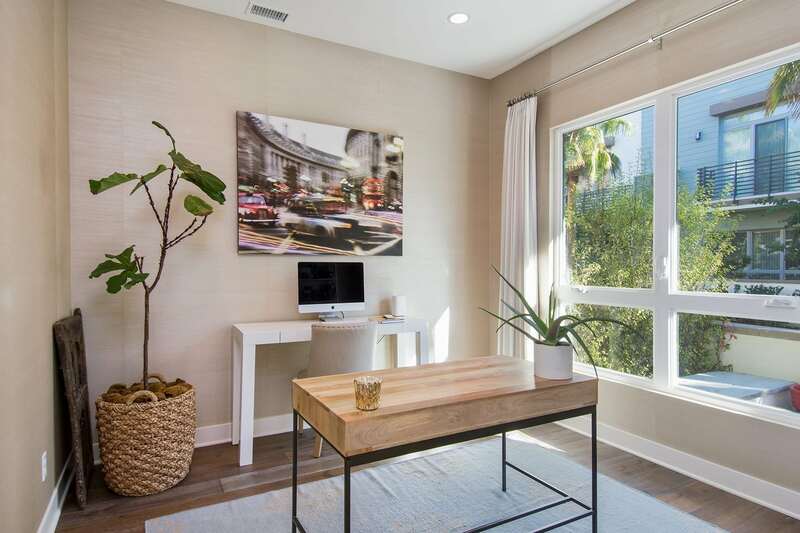 An office with custom seagrass walls sits across from the bright living room and adjacent to the ample dining area. 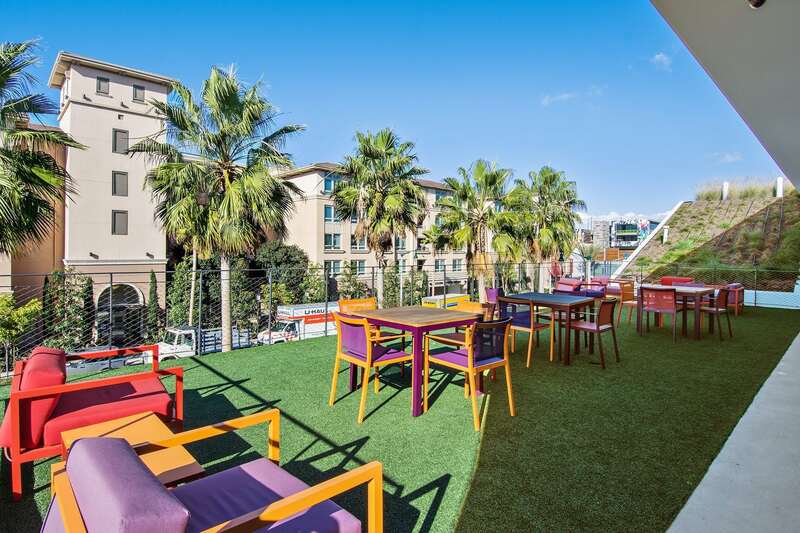 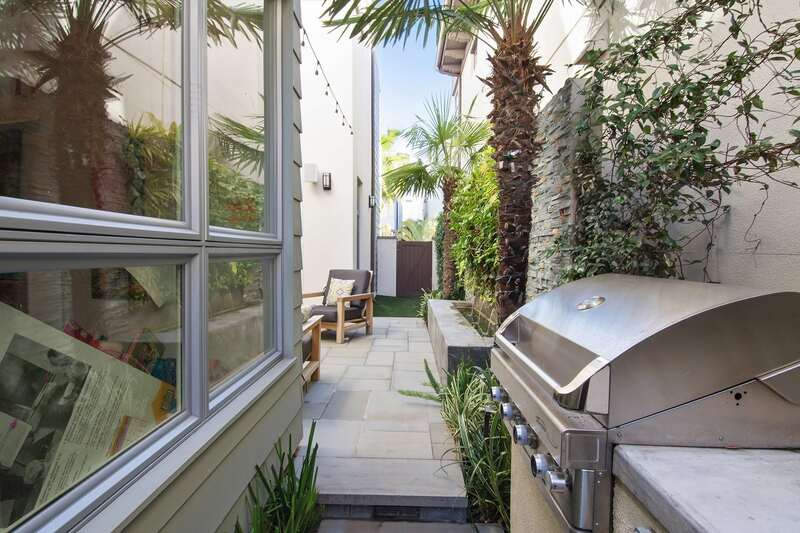 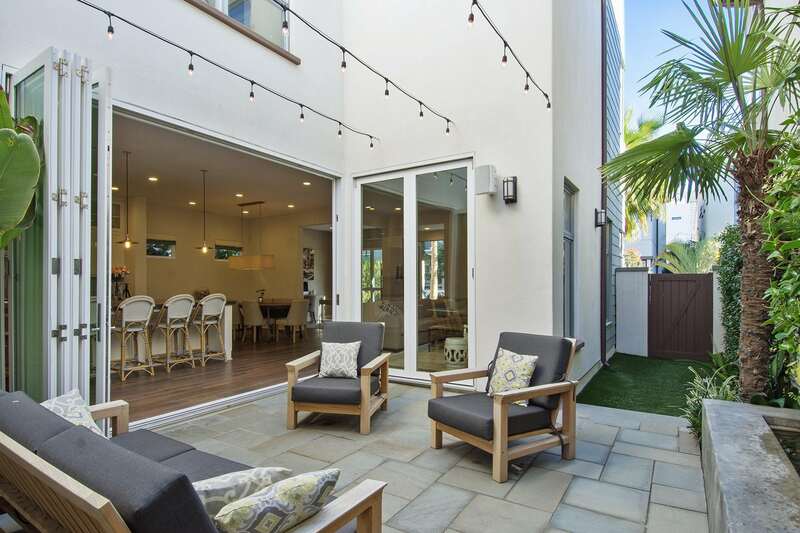 Walls of sliding glass accordion doors surround the private patio complete with a gorgeous water feature, making it the perfect place to unwind or dine al fresco. 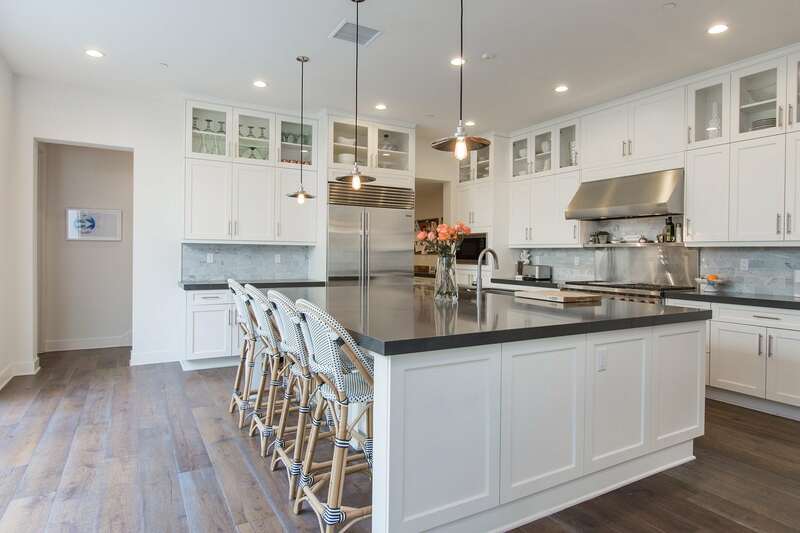 The stylish and gourmet kitchen features luxe materials, high-end stainless steel appliances including a Wolf range and a stunning oversized island with breakfast bar. 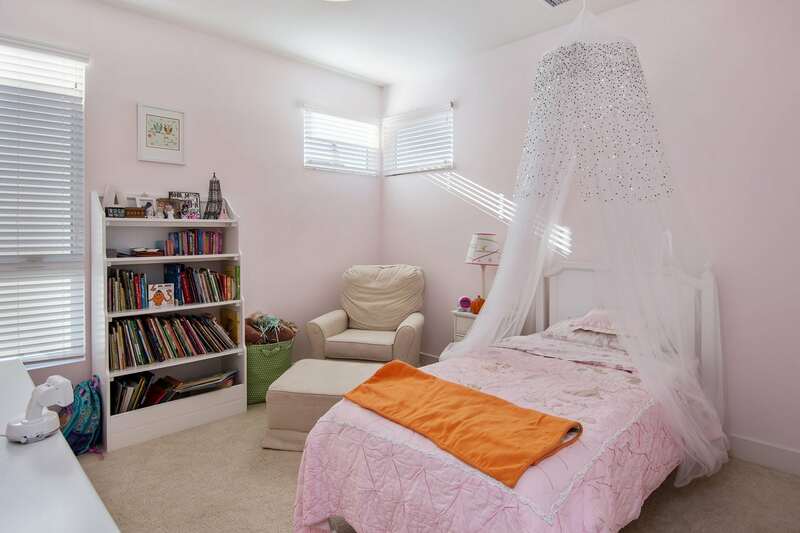 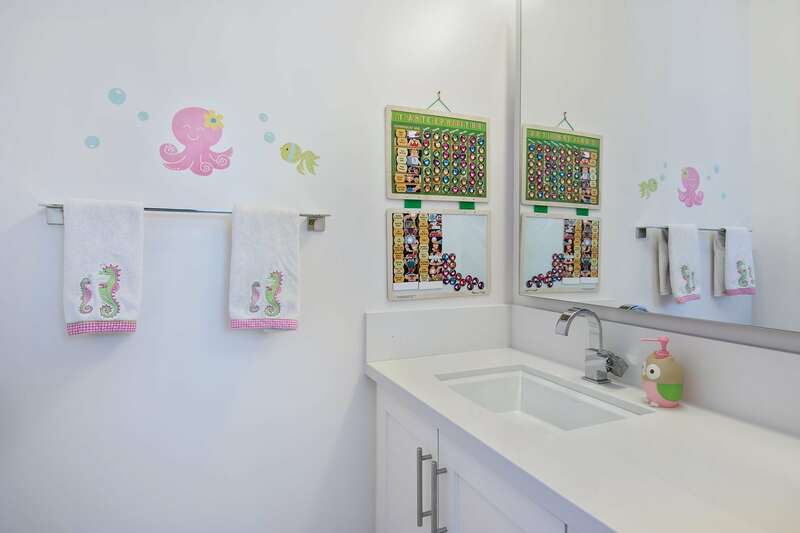 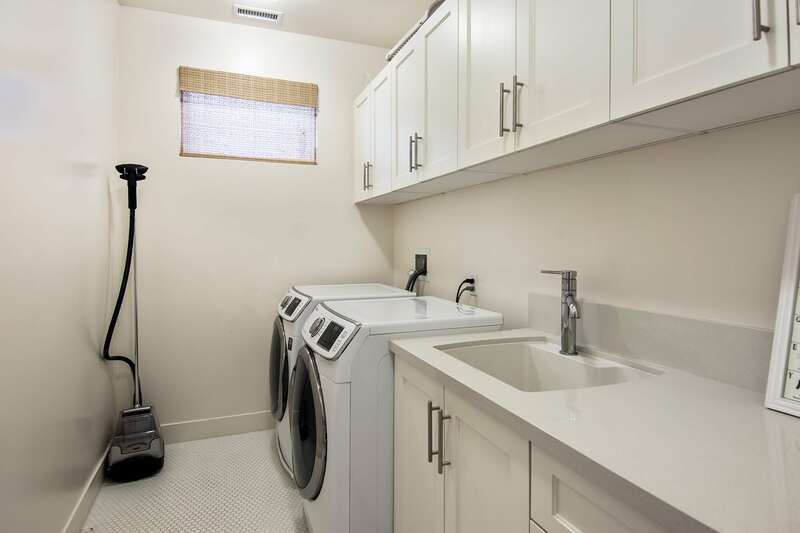 Four bedrooms are located upstairs, including the master suite. 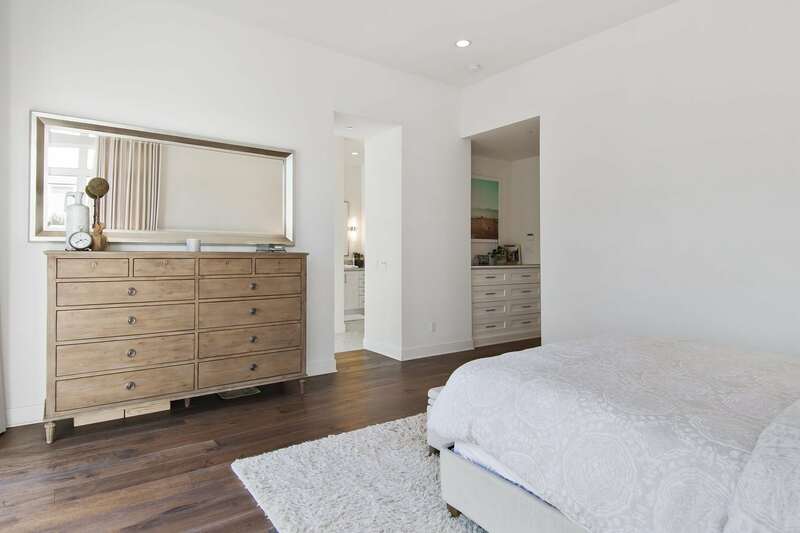 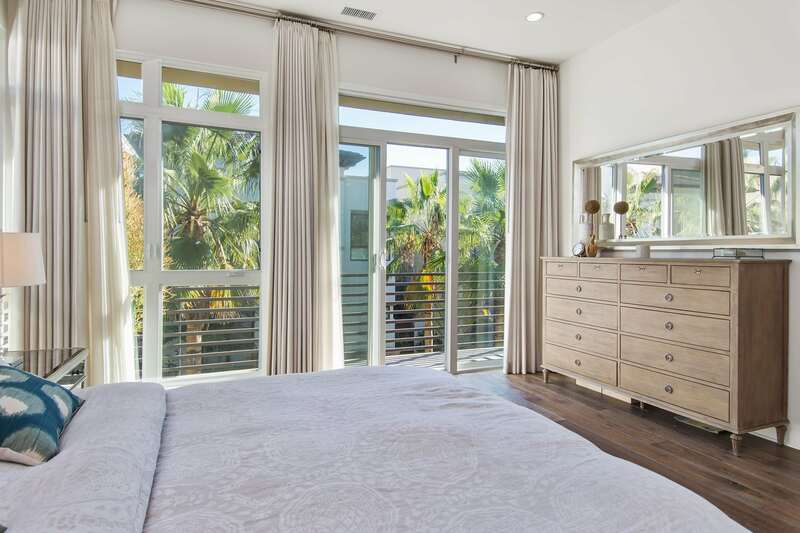 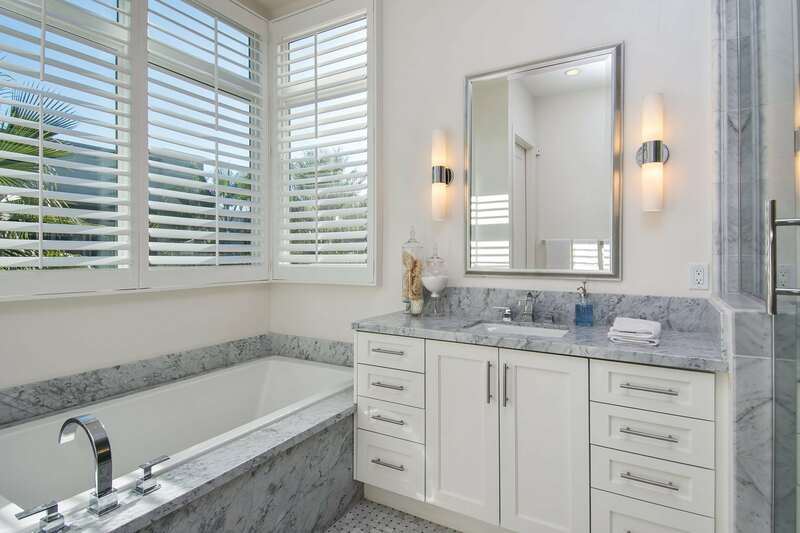 This sizable master bedroom features a private balcony overlooking the front courtyard, a large walk-in closet and a spa-like bath with soaking tub, dual sinks, and a custom Carrera marble shower. 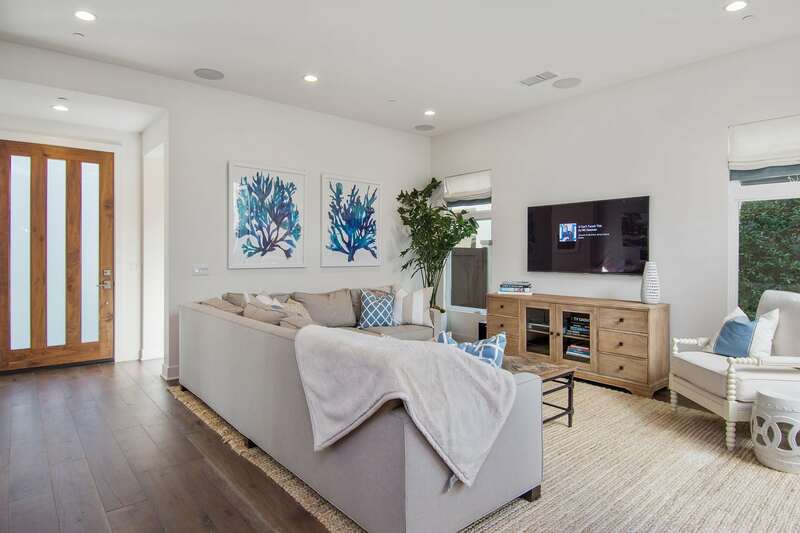 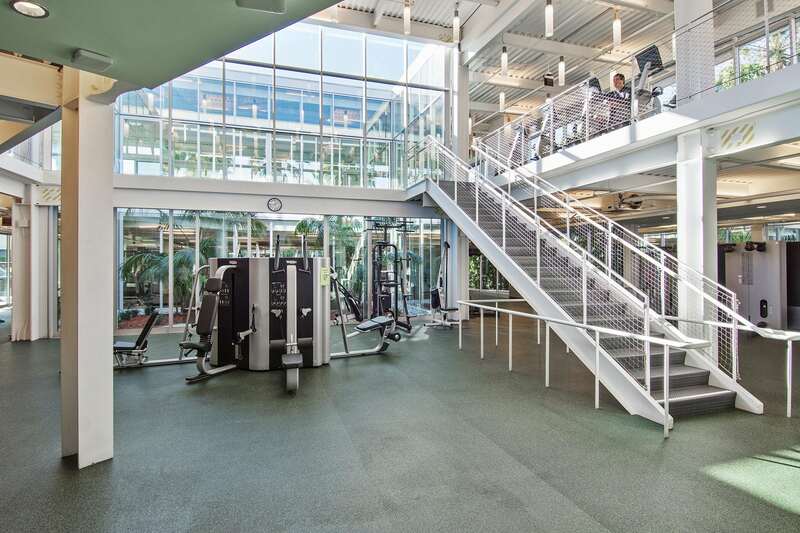 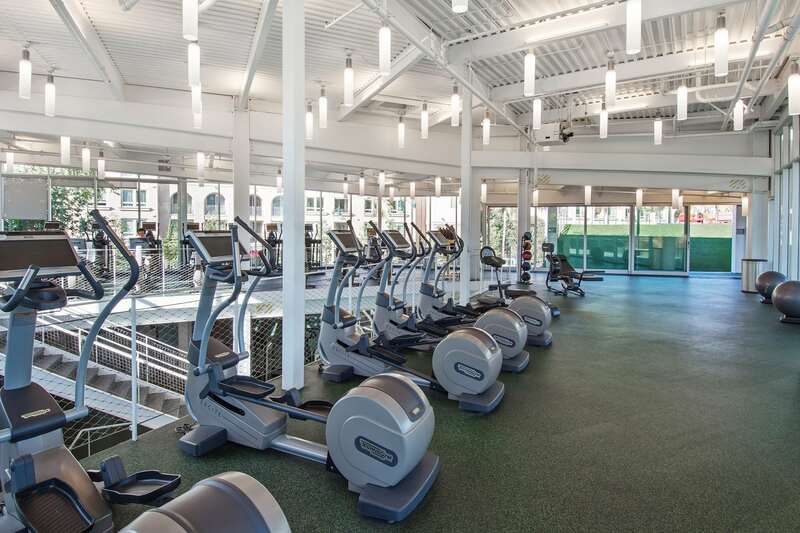 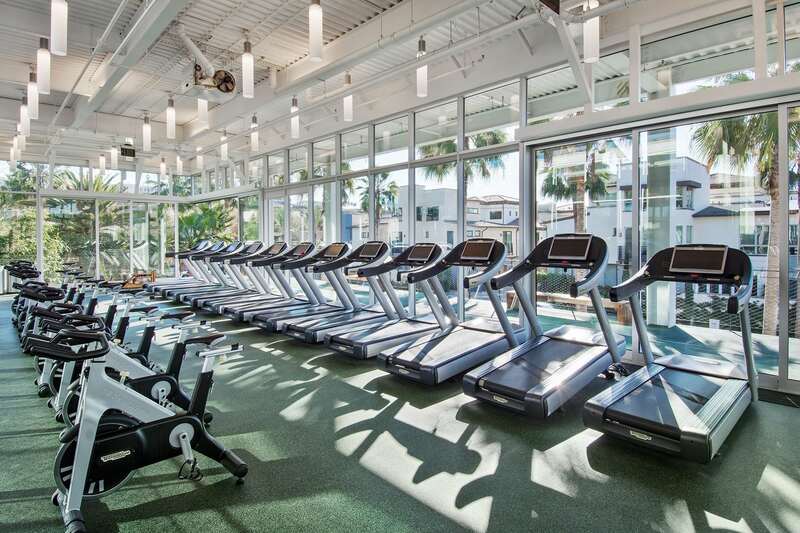 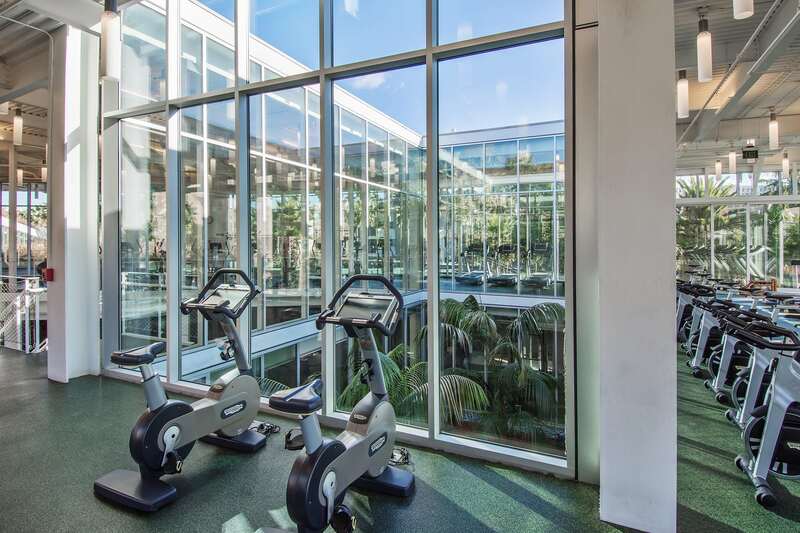 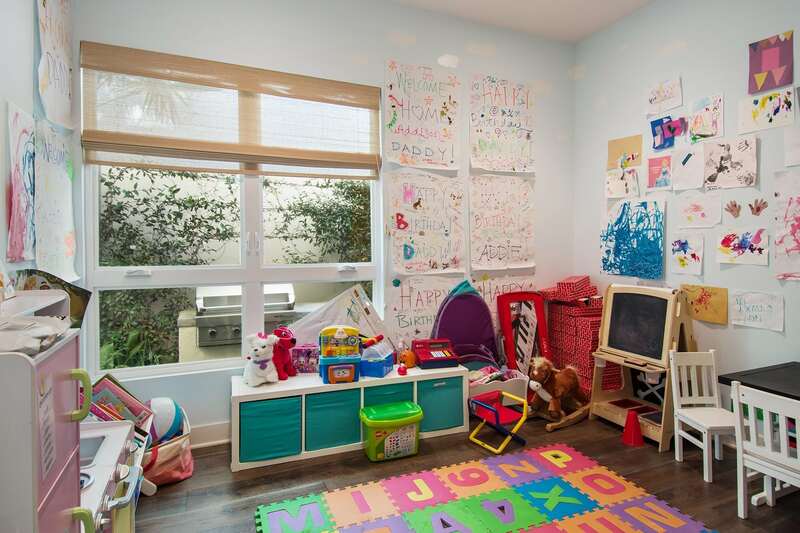 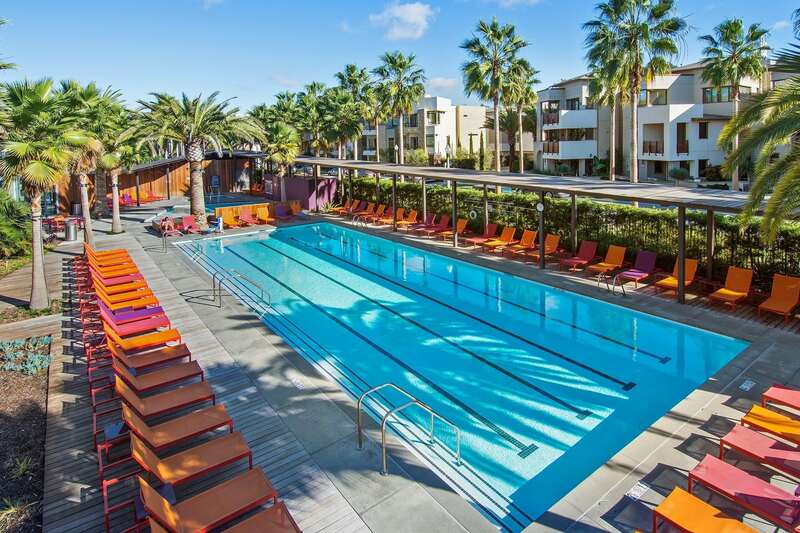 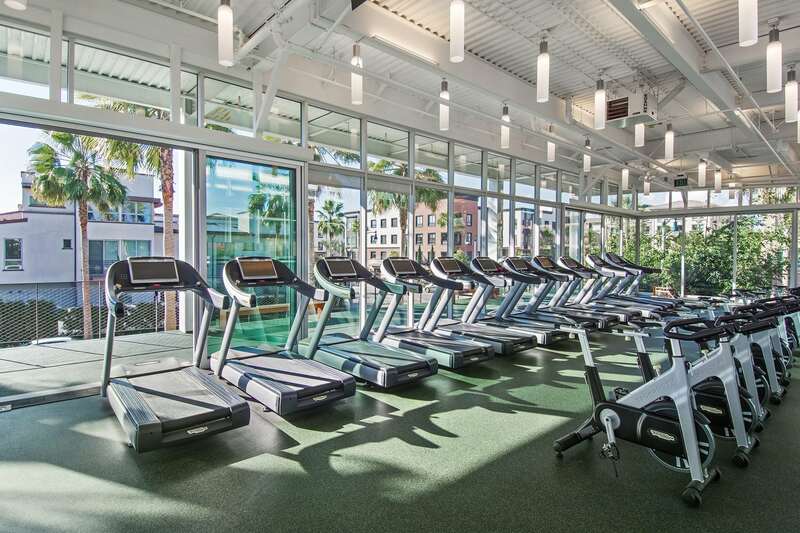 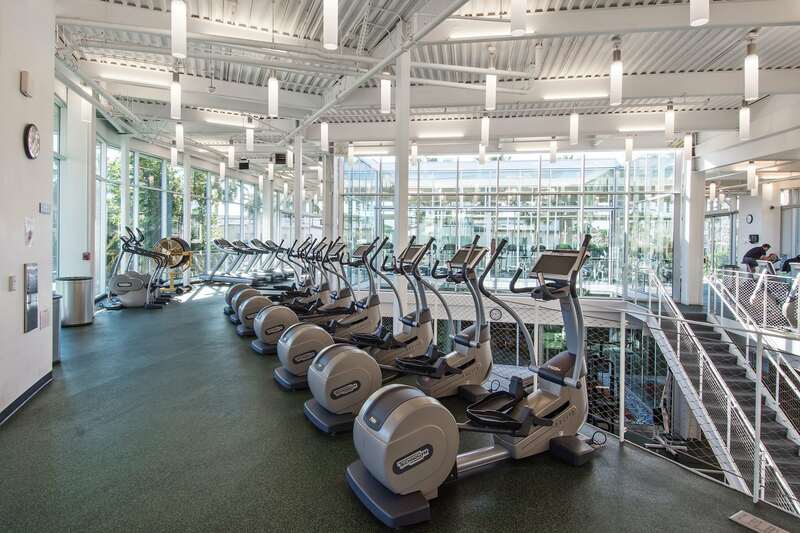 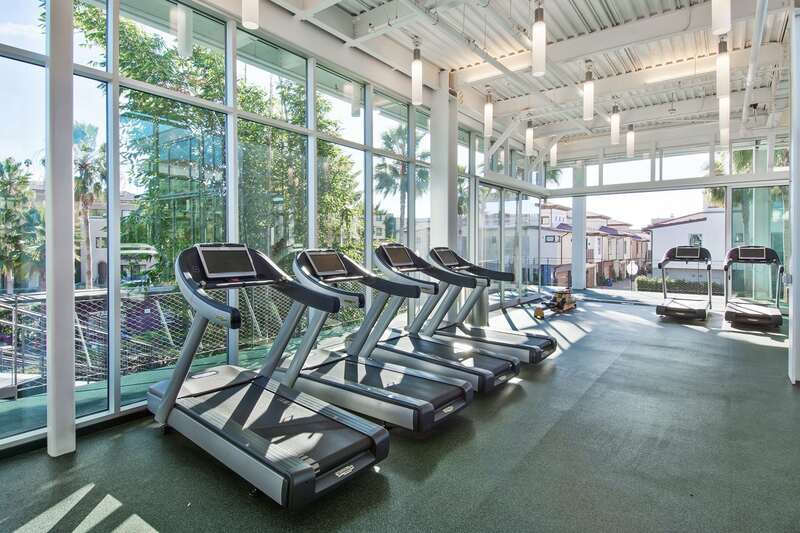 The home's exclusive neighborhood features a state of the art gym, multiple pools plus a Whole Foods, movie theater, fine dining and a range of coffee shops, boutiques and salons. 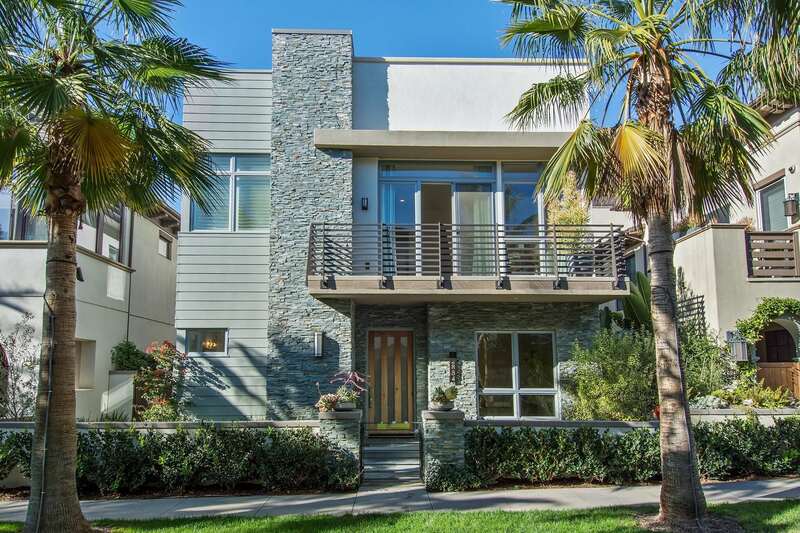 Homes of this caliber rarely hit the market, so don’t waste any time! 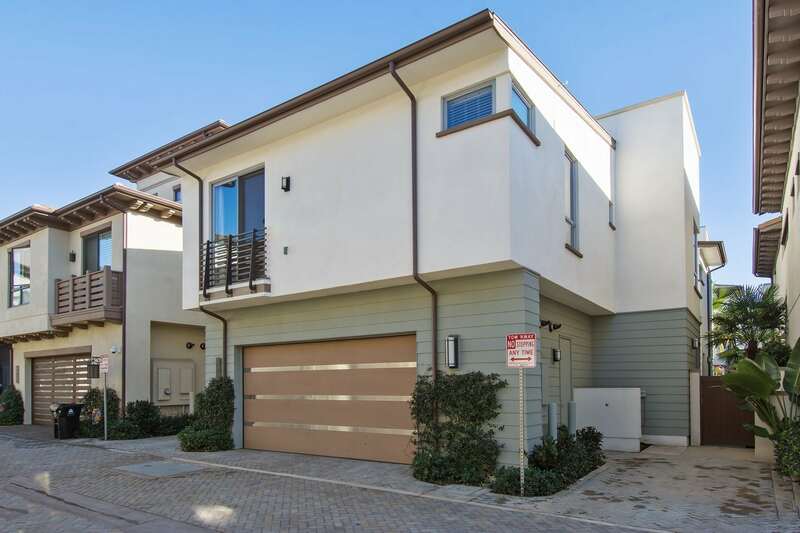 Interested in 12884 Hammock Ln?